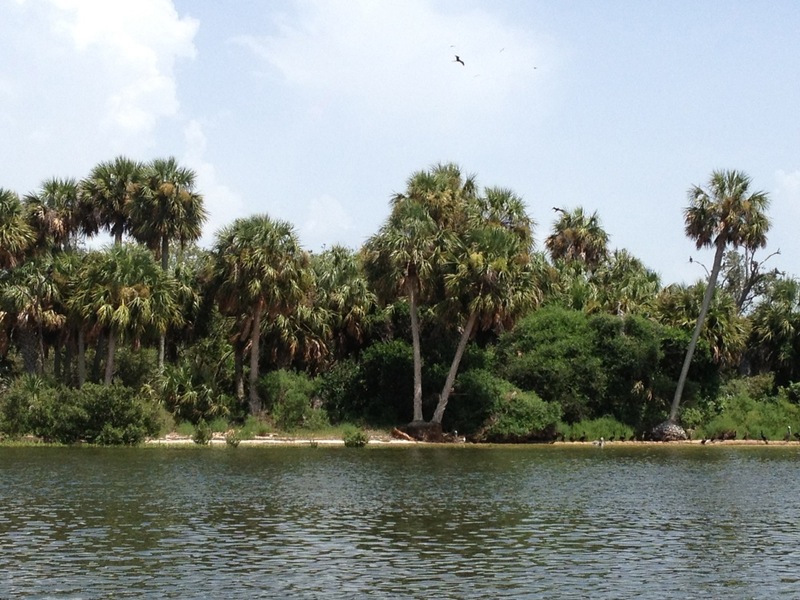 Florida Sea Grant is funding an interdisciplinary team of University of Florida researchers to study potential impacts of future coastal change in Levy County, Florida, and to work with local leaders and citizens to identify possible strategies for adaptation. The two-year project ran from February 2012 to October 2014. 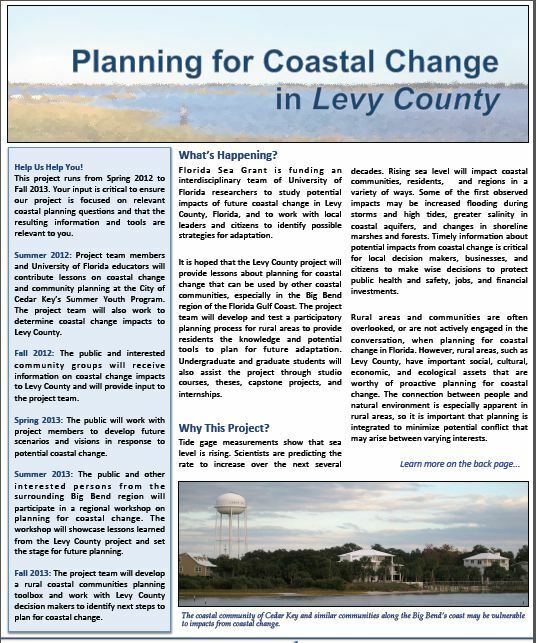 Major activities of the project include: technical analyses of coastal change, including future sea level rise scenarios and impacts; public engagement through kids’ summer camp activities, city and county commission presentations, community and regional workshops, festivals, an artists’ show, oral histories, and this website; and design of promising adaptation strategies for the built and natural environments. 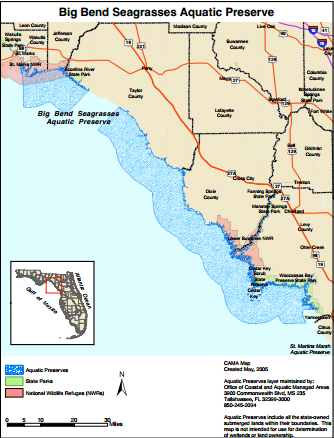 It is hoped that the Levy County project will provide lessons about planning for coastal change that can used by other coastal communities, especially in the Big Bend region of the Florida Gulf Coast. The project team includes faculty, instructors, and students from the College of Design, Construction and Planning.